By way of variation on our normal output on this site, we are happy to tempt Wolves' most loyal fans with a competition brought to us in the last few days. We plan to resume our usual posts over the weekend. Letters and other keepsakes originating from Wolves legend Joe Gardiner have come to light approaching 20 years after his death. The nostalgic bundle was discovered in a house in the Tettenhall area and also contains photographs among various newspaper items. 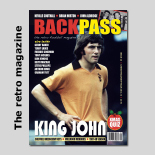 Following the latest of the many emails we receive asking for information about former Wolves players, we are delighted to have this week reconnected the late 1970s winger John Black with an old friend from the city of his youthful football dreams. Wolverhampton was a town when the Scotsman was on the Molineux books during a stay that brought him six first-team appearances and many more outings at reserve level and lower. Galley In Goal – And Under Attack! John Galley had a feeling of deja-vu when he saw defender Kelvin Wilson attacked by a fan after Nottingham Forest's victory at arch rivals Derby last month. In another high-pressure occasion at the second level, much the same thing happened to him following an emergency change of roles during Rotherham's game at a Bobby Gould-inspired Coventry on Boxing Day, 1966. Oops......The One That Got Through! Kenny Jackett's feat in leading Wolves to a record-busting League One triumph last season and to a position of challenging for a place in the play-offs this term has cemented his standing in Molineux history. But, as this photograph on the right shows, he clearly was not always a household name around Wolverhampton. 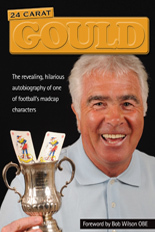 John Richards has chosen Mel Eves as the next interviewee in his popular q & a series on this site. Wolves Heroes' co-owner will be chatting in the coming weeks to a man who became a partner of his in the Molineux attack in the second half of the 1970s. It's not a tour that is likely to feature in many of the record books. Nor is it one that has ever been looked back on with much fondness. Without access to a newspaper cuttings library or without the starting point of at least a little knowledge to kick-start a Google search, you could be excused for having forgotten it ever occurred. Graham Turner will forever be seen as the Wolves manager who was associated with glory in the Sherpa Van Trophy. After all, he and Sammy Chapman were the only two men ever to have led the club into combat in the competition before Kenny Jackett arrived. But it may come as a surprise to be reminded of the substantial list of other one-time Molineux figures who have also done very well in the Football League Trophy in its various guises. It was 90 minutes. It had to be. The man who gave his beloved club a spectacular Molineux, a first taste of the Premier League, long-term stability and respectability and a million memories had a send-off that lasted - in church time at least - as long as one of the matches he nervously sat through.